Last month I discussed two common myths associated with Wild Turkey. Of those misconceptions, the one I hear most frequently is: “The only good Wild Turkey is ‘dusty’ Wild Turkey.” Well ladies and gents, (spoiler) the subject of today’s review is a great example of why you shouldn’t put too much stock in bourbon myths. Sometime around 1974 Jimmy Russell introduced 80-proof Wild Turkey KSBW to the world. It only made sense at the time. Trends were changing – lighter spirits were in fashion and Austin, Nichols & Co. had every reason to compete. And even though a 86.8-proof WT KSBW expression was already available to consumers, from my experience I wouldn’t call it a lighter whiskey. Evidently the 80-proof WT filled a niche in the market that the 86.8-proof could not. So much so, that the 86.8-proof ended its domestic run in the late 1980’s. It remains, however, a core expression in certain export markets, such as Australia. As for the 80-proof expression, it was replaced in 2011 with WT 81-proof (simply labeled “Wild Turkey KSBW” since 2015). Now I’m no stranger to 80-proof Wild Turkey. In fact, I’ve reviewed several releases on more than one occasion. While I wouldn’t consider 80-proof WT an impressive or complex pour, I’ll admit that of the years I’ve tried (to date), all have fared better than expected. Thanks to a fellow whiskey enthusiast I have a chance to try yet another release – this one from 2001. Having recently reviewed WT 101 from 2000 and thoroughly enjoying it, I have reasonable expectations for its 80-proof ‘01 relative. What’s that? Define reasonable? Okay – I’m hoping for better than average. It is dusty Wild Turkey after all (in my opinion, 17 years on a retail shelf is rightfully “dusty”). But you read my spoiler, right? Might as well get on with it! Overall: Okay … so this isn’t very good. I could make a few comments supporting my opinion and leave it at that, but instead I think it’s important I dig a little deeper. After all, this Wild Turkey 80-proof release isn’t representative of other quality WT expressions around this time, nor is it representative of other 80-proof releases I’ve previously reviewed. So what went wrong? Well, I have a few theories. First, a lot can happen in 17 years. For example, I once picked up a 2008 Wild Turkey 101 liter that had obviously spent considerable time in a shop window. The face label was faded and significantly lighter than its reverse. I’d heard that direct sunlight was bad for whiskey (and Breaking Bourbon essentially proved this sometime back). I knew better but bought the liter anyway. Needless to say, the whiskey reeked of stale booze and was quickly disposed of. Lesson learned. While this 2001 Wild Turkey 80-proof isn’t quite that level, it does have similar attributes – at least it reminded me of sun-spoiled whiskey when I first tasted it. In fact, it was close enough to check back with the bottle’s owner. He assured me that the bottle and label were cosmetically fine and verified with photos. Could it have something to do with other environmental factors, such as the screw-top in combination with where/how it was stored? Possibly, though I’ve had a number of dusty screw tops with no profile issues whatsoever. Second, Wild Turkey 80-proof is a bourbon that’s not exactly premium – perhaps legally, but not unequivocally. I think it’s fair to say that barrels chosen for this product weren’t the same level of quality or maturity as those selected for bonafide premium expressions like Wild Turkey 101. So why have other 80-proof releases tasted notably better? It’s possible that this particular WT 80-proof batch from 2001 simply contains less favorable whiskey than other batches. Finally, what if it’s just me? Maybe I’m growing fatigued of the dusty whiskey profile when it comes to lower-proof (and arguably younger) expressions. Even so, I’ve compared this 2001 to both 1992 and 2005 80-proof WT KSBW on several occasions over the last few weeks (thankfully, I was provided a very generous sample). They all shared core notes, but each time there was something off with the ‘01 WT 80-proof. Theories aside, I’m really not sure why this Wild Turkey 80-proof tastes the way it does. I can say for sure that it’s not a high-quality pour. The best way to describe it is like young craft whiskey blended with dusty profile Wild Turkey KSBW. If that sounds good to you, I’m not faulting you for it. As for me and my palate, I think I’ll be a little more cautious when purchasing 80-proof WT bottles. All said and done this review has been considerably tough. 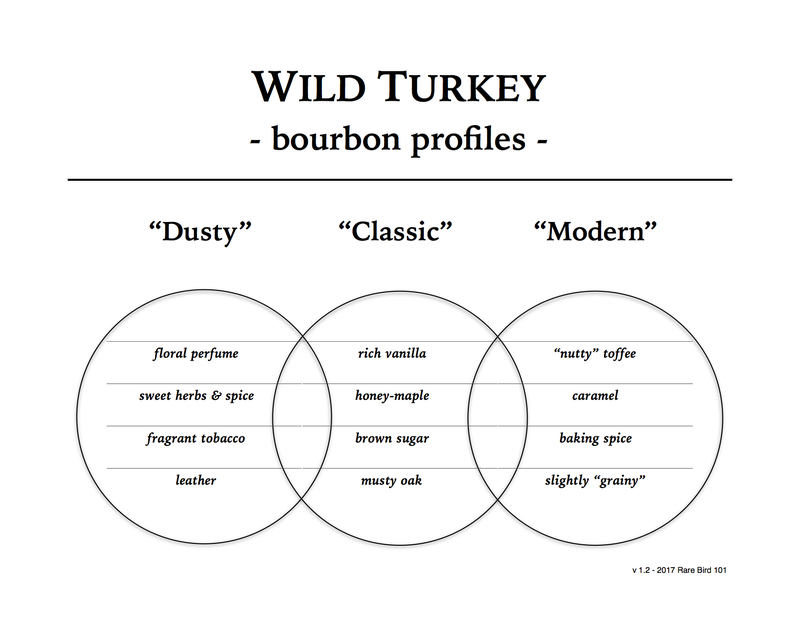 At the very least it’s caused me to question my opinion of dusty Wild Turkey – particularly the 80-proof expression. In fact, I may need to revisit past reviews for which I still have open bottles. Re-evaluations may be in order. As for this 2001 release … it’s frankly below average, which puts it in the “1’s” range on my Turkey Scale. So it is written, so it is done.